The Union County Shrine Club presented Marysville and North Union school districts with donations for their special education departments at the club’s Wednesday meeting. Marysville received $3,800, while North Union received $800. 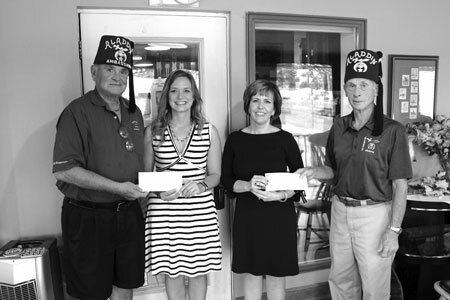 Pictured above, from left to right, are Union County Shrine Club Ambassador Bill Bumgarner, Marysville Director of Student Services Kim Jude, North Union High School Principal Janell Chapman and Union County Shrine Club President Jim Ulmer.